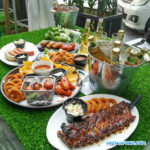 Shah Alam, 27 November 2015 –Somersby, the leading cider in Malaysia and the fastest growing cider brand in the world, is celebrating the year end festivities with another tantalizing flavor – Somersby Blackberry Cider. 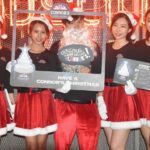 This soul warming Christmas edition Somersby Blackberry is the perfect crowd-pleaser with its refreshing, crisp natural taste that is also an ideal partner to uplift consumer spirits. 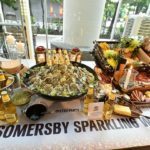 The newly introduced Somersby Blackberry Cider is fully imported from Europe and available for a limited time only in 330ml bottles at two major supermarket chains, Aeon and Cold Storage nationwide. Fruity flavoured with a breadth of freshness and a mild taste of blackberry, Somersby Blackberry with its 4.5% alcohol content, lives up to its reputation of spreading joy and sunny togetherness wherever it is served. This exclusive variant will complement the brand’s existing Somersby Apple Cider and Somersby Pear Cider launched in June 2012 and April 2014 respectively which continues to captivate the hearts of Malaysians with its natural fruity flavour. 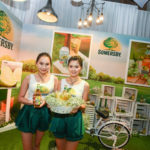 Somersby cider is now available in more than 43 countries while Malaysia is the fourth country in Asia with this offering. Somersby Blackberry Cider will be available until 31 January 2016 or while stocks last.